There are different kinds of tourists. Some prefer to have local experiences, others to party, and others to explore the culture of a place. It doesn’t matter what kind of tourist you are if you’re visiting Spain because this country has everything you can ask for. And, if you’re the kind of traveler that is into museums, Spain has some of the best in the world. Here is a list of the 16 best museums in Spain. The Museo del Prado is a must in Madrid. This museum was established in 1819 and it’s one of the 20th most visited museums in the world. It houses one of the world’s best collections of European art (from the 12th century to the early 20th century) and it has the best collection of Spanish art. Here, you can find works of art by Goya, Bosch, El Greco, Rubens, Titian, and Velázquez. Prices available here. Check the opening hours before going. 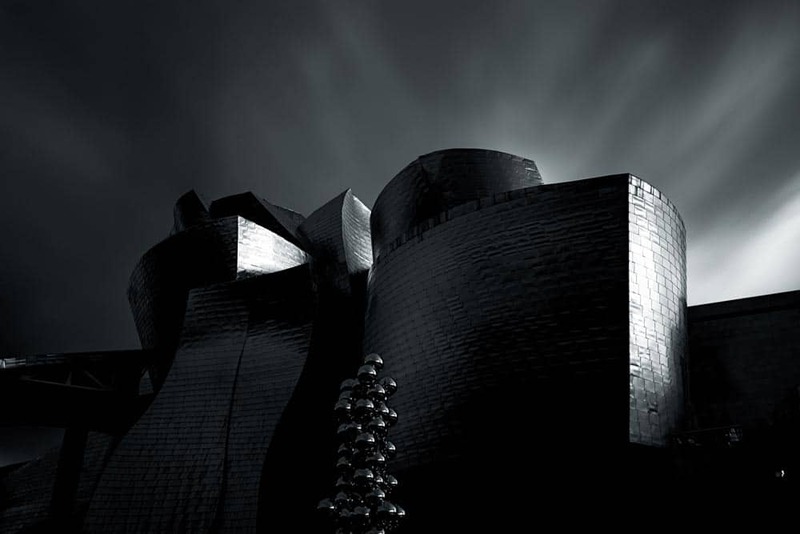 The Guggenheim in Bilbao is one of the best museums in Spain. Famous because of the building itself, designed by Frank Gehry, this museum is barely 20 years old. It’s one of the largest museums in Spain. The Guggenheim in Bilbao is famous for its Avant-garde art, 20th-century abstraction, and non-objective art. Most of the pieces come from the Guggenheim’s permanent collection but you can also see works by Kooning, Rothko, Still, Clemente, Kiefer, Holzer, and Serra. Before going, check the opening hours and entry prices of the day here. Don’t miss: the only permanent exhibit, The Matter of Time, a series of sculptures by Serra. The City of Arts and Sciences in English is an architectural, cultural, and entertainment complex. There are places for everyone here: L’Hemisfèric, with an IMAX cinema and planetarium; Museo de las Ciencias Príncipe Felipe, an interactive science museum; L’Umbracle, a garden with plants from Valencia full of contemporary sculptures; Oceanográfico, the biggest aquarium in Europe; Palacio de las Artes Reina Sofía, museum dedicated to music and scenic arts; and the Ágora, where concerts and sport events are housed. Every place in the City of Arts and Sciences has its own entry fee that you can check here. Also, be sure the place you’re visiting is open clicking here. Don’t miss: visiting the Oceanográfico to watch some belugas and dolphins. 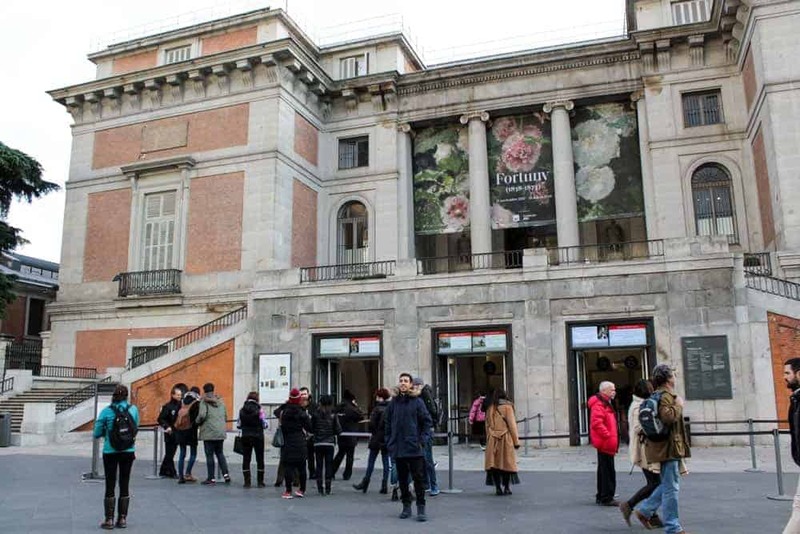 This museum is part of the Golden Triangle of Art in Madrid along with Museo del Prado and Museum Thyssen-Bornemisza. Mainly dedicated to Spanish art, especially 20th-century art. In this museum, you can find great collections of Picasso and Dalí. There are also international exhibitions and it’s one of the largest museums for modern and contemporary art in the world. It also has a free-access library that specializes in art. Read about the prices, opening hours, and buy tickets online for Museo de Arte Reina Sofía here. Don’t miss: Guernica by Picasso. This museum was opened while Picasso was still alive. Imagine having a museum of you! This museum has more de 4,000 works by Pablo Picasso, making it one of the most extensive collections of Picasso in the world. Also, it’s the first museum dedicated to Picasso’s work. 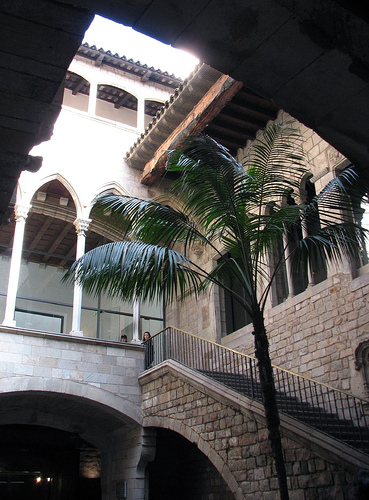 The nice thing about this museum is that it highlights the relationship between Barcelona and the painter, making it a unique experience in the city. Prices and opening hours available here. Don’t miss: The First Communion. The Palau Nacional is definitely worth a visit! The National Palace has been home since 1934 to the National Art Museum of Catalonia (MNAC). It is worth visiting just for the Spanish Renaissance-inspired building. 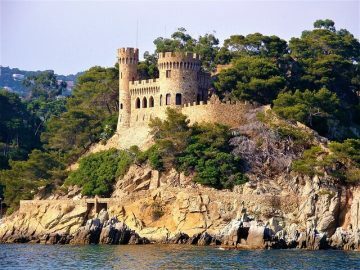 This museum is famous for its collection of Romanesque church paintings, and for Catalan art and design from the late 19th and early 20th centuries. This is one of the largest museums in Spain. Check info about opening hours and prices here. Don’t miss: the collection of Romanesque art, the largest in Europe. According to Dalí’s words, he wanted his museum to “be a single block, a labyrinth, a great surrealist object. It will be [a] totally theatrical museum. The people who come to see it will leave with the sensation of having had a theatrical dream.” And he delivers. This museum houses the largest collection of works by Dalí in just one place and you can see holographic art, jewelry designed by him, optical illusions, stereographs, and art installations made by Dalí himself. Opening hours and prices, here. Don’t miss: Leda Atómica and The Swallow’s Tail, Dalí’s last oil painting. The construction of the building was inspired by Roman architecture. The National Museum of Roman Art houses archaeological findings of Augusta Emerita, an antique Roman city. The building is part of the UNESCO’s World Heritage Archeological Ensemble of Mérida. The museum mostly houses objects found in Mérida (except some coins). Most of the objects date from 25 BC to the 5th century AC. There are also objects from the Visigoth era and some medieval pieces. Hours and tickets information available on the official website of the museum. Don’t miss: visiting the archaeological site near the museum too. This museum is especially interesting for kids since it has many didactic exhibitions. The Museum of Human Evolution (or MEH) is just 16 km away from Sierra de Atapuerca, a UNESCO World Heritage Site and the place where some of the most important human fossils have been found in the world. In the museum, you’ll find models of archaeological sites and ultra-realistic reproductions of human ancestors. There’s also a part dedicated to Charles Darwin. Read about the opening hours here and the rates here. Don’t miss: the exhibition with the fossils found in Atapuerca. Joan Miró had the idea of creating a foundation in 1968. A museum of modern art that’s part of Joan Miró’s foundation. Although there are several works of art by Miró it’s also a museum dedicated to young experimental artists. Here, you can also see works of art by Greenaway, Chillida, Magritte, Rothko, Saura, and Calder. Read about opening hours and rates in the official website of the museum. Don’t miss: Espai 13, a space with regular and continuous exhibitions where you can see new trends in art. The Valencian Institute of Modern Art (or IVAM) is the first modern art museum created in Spain. Also, it’s the number 52 of the 100 most visited museums in the world. The IVAM has a collection of more than 10,000 works of art but also houses discussions, courses, workshops, conferences, and concerts all related to contemporary art. All the information you need to know before your visit is here. 🎊 Celebrem #LaMercè amb una jornada de portes obertes el dilluns 24 de setembre! Visita gratuïtament les #exposicions ‘#MelanieSmith. Farsa i artifici’ i ‘#ColleccióMACBA. Sota la superfície’ de 10h a 20h i gaudeix d’una marató de vistes guiades d’11h a 19h, cada hora en punt, en català i castellà. Consulta els horaris a l’enllaç del perfil! #macbaBCN #museus #cultura #LaMercè2018 #portesobertes #FestaMajor #Barcelona #ciutat . 🎊 ¡Celebramos La Mercè con una jornada de puertas abiertas el lunes 24 de septiembre! Visita gratuitamente las exposiciones ‘#MelanieSmith. Farsa y artificio’ y ‘#ColleccióMACBA. Bajo la superficie’ de 10h a 20h y disfruta de una maratón de visitas comentadas de 11h a 19h, a las horas en punto, en catalán y castellano. Consulta los horarios en el link de la bio. Also known as the MACBA (or Barcelona Museum of Contemporary Art) has a permanent collection of more than 5,000 works. It focuses on Catalan and Spanish art, but there are some international artists represented. The works of art date from the mid-20th century onward. Opening hours and access fees available here. Don’t miss: the temporary exhibitions, even if you don’t like the rest of the museum, most of the temporary exhibitions are worth a visit. You can check them on this website. Would you add another museum to the list? Let us know in the comments!